He reeks of death. But death is his trade and he has a taste for it. Yet he’s never “killed in hot blood” before, never killed in war. 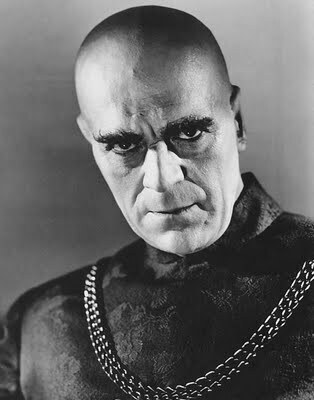 As Mord, the royal executioner and ally to King Richard III (Basil Rathbone), Karloff personifies the cruel representation of political violence behind the throne, the workmanlike brute force that does his master’s bidding to preserve the peace. Mord may hide behind the throne, but Karloff’s gleefully morbid turn is nakedly, aggressively terrifying. He is the prototypical executioner, the death dealer of our childhood nightmares. 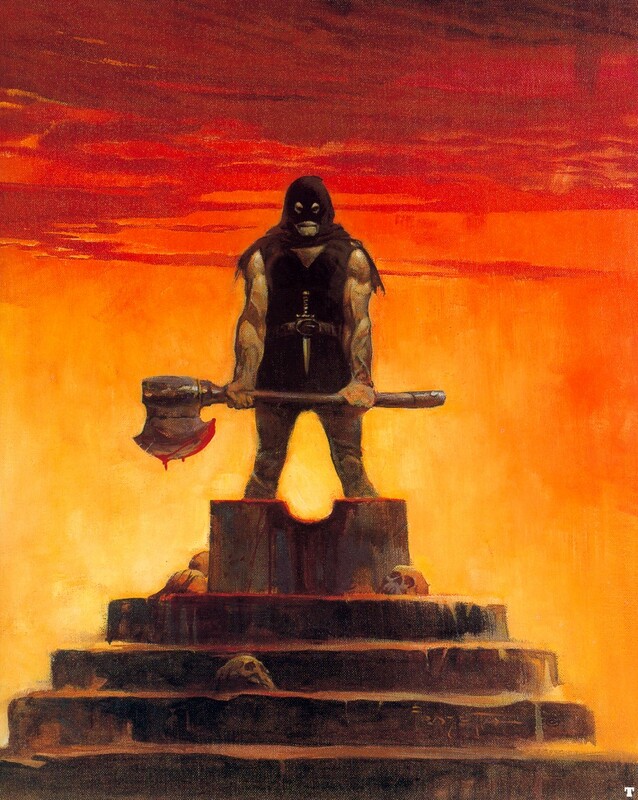 The first moment we see the powerfully built but cadaverous looking Mord–hunched over his grinding wheel, sharpening his oversize axe with a black raven perched on his shoulder–it’s like watching Cain himself readying the next murder. But where Cain acted impulsively, emotionally… Mord is pure professional. There is little overt art to his blood-letting, hence why he yearns for something a little more exciting, creative, arousing. 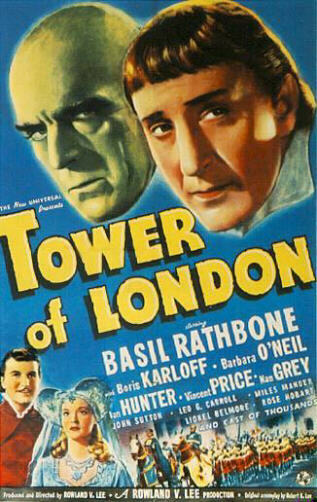 Karloff is almost touching as he pleads to Rathbone to take him into battle. Warfare must be a wonderful, crimson bounty for a man like Mord. The opportunities for passion are no doubt endless. God knows how energized Mord will be when he returns from murder on such scale. I’ve been quiet for the last month or so… not because I’ve been hiding, not because I’ve been diligently working on something before doomsday (deadline). I’ve been unusually quiet because my laptop (which is only 10 months old) bit the dust. More or less. It sputters to life for a few minutes at a time… long enough to get my hopes up that it’s just been kidding… before blinking out again. It’s been frustrating to say the least. I’m exhausted dealing with the Dell people from the US and the UK to resolve the problem. Luckily, someone finally seems to have stepped up to rectify the situation. My fingers are crossed, as well as my toes. You can read more about my own (not-so) private crisis here. Luckily, at least for the next couple of days, a friend of mine is off to Dublin for a few days and has loaned me a computer to use, so I’m sure I’ll be putting up some new posts while I await the fate of my little laptop.